Is this an existing grant? Project Summary: Explain why grant is being requested, what outcomes you hope to achieve and how you will spend the funds if granted. Project Impact: Describe the expected impact of the project. Who will benefit (target population)? Description of the active involvement of constituents in defining problems to be addressed, making policy, and planning the program. Descriptions of the qualifications of key staff and volunteers that will ensure the success of the program. Long-term strategies for funding this project at the end of the grant period. Other Funding Sources: Please detail for funding from other sources that has been committed or is pending. Indicate the source, about, matching requirements or other contingencies and with the date funds were committed or the day a response is expected if a commitment has not yet been received. Priorities for Partial Funding: If resources are available to support the full grant request, indicate which project expenses are highest priority and potential consequences of receiving partial funding. 1. Plans for evaluation. Please include project goals, measurable objectives, and expected outcomes for this program/project. Please upload your organizations annual budget, most recent financial statement and annual report, in available. These reports are need once (1) a year and may be submitted via email to assistant@micf.org. This information does not need to be submitted for each application. 2. Organization's mission and goals. 3. Description of current programs, activities, and accomplishments. The filing of this application by the undersigned, officially authorized to represent the applicant organization has been duly approved by the governing board of the applicant organization. This application has not yet been approved by your governing board, notify the MICF of the action taken as soon as possible. We certify that the information in this application is accurate and the organization's staff and Board will support the program/project as described. 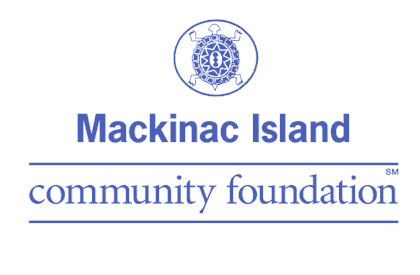 If awarded a grant from the Mackinac Island Community Foundation, our organization also agrees to participate in an evaluation program, if initiated by the Foundation. Please review a copy of your application by by clicking print." If you are ready to submit, please click "submit" now. The appllication is not complete and fully fully submitted until all doucments are attached. Please note: Once you click submit you can make any changes to this application.